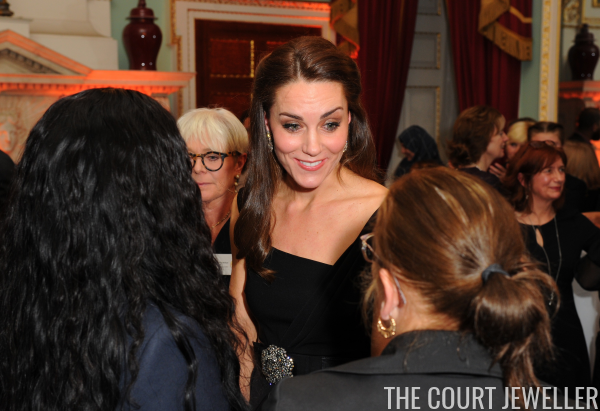 The Duchess of Cambridge attended the Place2Be Wellbeing in Schools Awards at Mansion House in London this evening, and she brought some rather regal diamonds along with her. 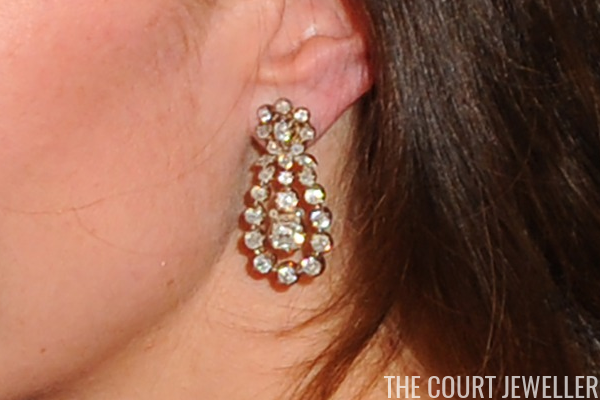 These diamond earrings are yet another pair borrowed from the Queen. Isn't it great to see Kate's access to the vaults increasing? Here's a closer look. The pair features a cluster stud with a floral motif, from which a pendant of four graduating diamonds is suspended. The pendant is surrounded by a diamond frame. These have only begun appearing on the Queen in public in the last few years, which suggests they may be newer acquisitions rather than royal heirlooms. (We don't know for sure, though, as no provenance information has been released.) 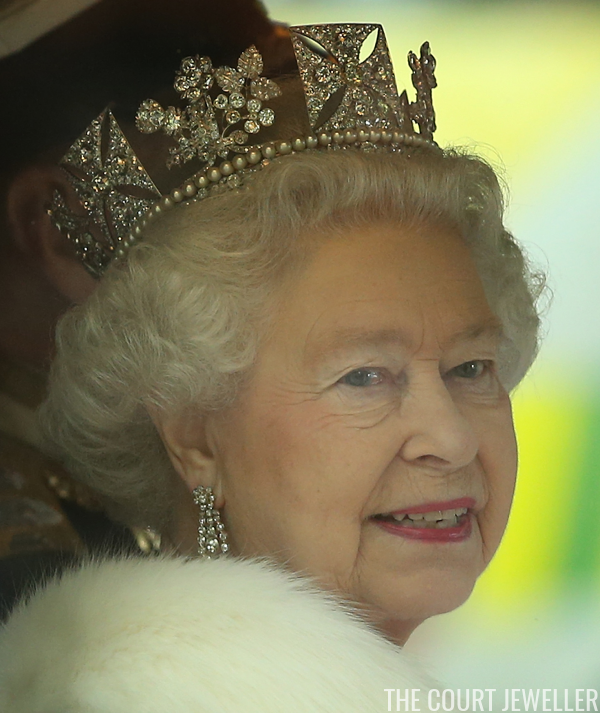 Above, the Queen wears the earrings during the State Opening of Parliament in May 2012. Here's a look at Kate's full ensemble for the evening, which includes a belt embellished with crystals.